The South Australian Music Awards celebrate the best that the southern state has to offer, and the 2016 edition took place overnight. The big winners from the evening were Zimbabwe-born musician Tkay Maidza, hip hop duo A.B. Original, alt-rockers Bad//Dreems and up-and-coming singer-songwriter MANE – who all took out multiple gongs. Maidza followed up her sweep of the 2015 awards by taking home Best Song for her single Ghost and Best International Compilation for Do It Right with Marin Solveig. Briggs and Trials’ latest project A.B. 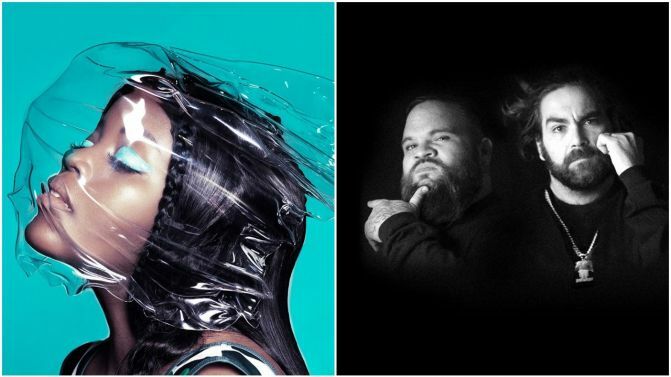 Original took out Best New Artist and Best Aboriginal or Torres Strait Islander Aritist, while MANE won Best Female Artist and Most Popular Pop Artist. Alternative rockers Bad//Dreems took home the awards for Best Group and Best Release for their debut album Dogs At Bay. You can check out the full list of recipients at the SAMawards official website.